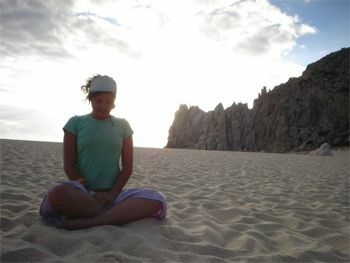 25 August 2011 - Peace Rebel, Fernanda Cassarin, from Mexico, was interviewed by Vibra TV www.canalvibratv.mx ‐ a Mexican television channel about meditation, the benefits of having a still mind and how peace can be contagious. Fernanda was interviewed on the evening show "Descanso Saludable" which means "healthy sleep" by Marina Palmer. Through doing the interview she also invited people to join Peace Revolution, and participate in the weekly online meditations, Moonfest. Fernanda spoke clearly, and answered the questions presented to her with confidence and poise.When asked why she started to meditate she explained that she wanted answers to questions like, who am I? Why am I here? Why I am Fernanda? 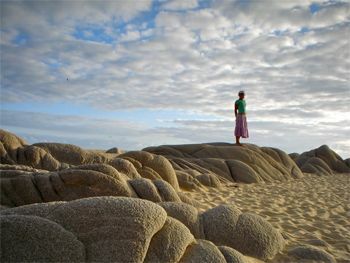 Fernanda further explains about incorporating meditation in daily life, she said, Silence does not mean being boring. You can do your daily activities with calmness and peace, with yourself.The world for that is "SABAI". It'swhen happiness fulfills your whole body.
" …The main importance of meditation is that you find yourself and find stillness and peace inside you, with you.Peace is something that can be shared, and is a wonderful feeling when you do it - is giving yourself a chance to improve and for personal accomplishment." "…I'm working to spread the words: PIPO, because I believe it. I'm starting with a lot of energy and the doors had been opened, because I feel what I say, and Love what I believe." "…I believe we can change the world, starting with us, with the example, with the strength to know that whatwe are doing is a choice, and that you lose more by not trying.Meditating has given me the key of stillness…Is a present to me, from me." Fernanda's special ops project, "kids in an orphanage" can be seen here. The power of one is above all things the power to believe in yourself. We are much more than what we think we are. We have the power to influence the environment, the future, we have the power to influence other people, and once we take responsibility for these things great changes are possible in this world. Fernanda is such an example of harnessing the power within, and making a true difference in the world. Vibra TV is a new Mexican television channel that is versatile and centeredon not only physical, emotional and spiritual well-being, but also the happiness of human beings.